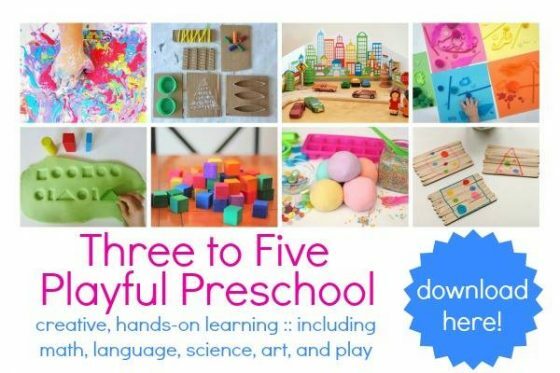 Home » Kid's Activities » fine motor activities » Easy Homemade Braiding Board – Learn How To Braid the Fun Way! Easy Homemade Braiding Board – Learn How To Braid the Fun Way! 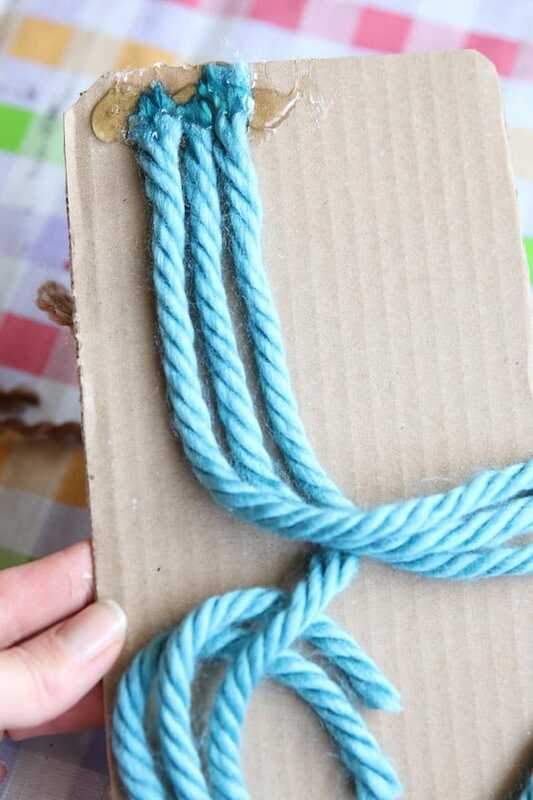 Make a homemade braiding board to teach kids how to braid! 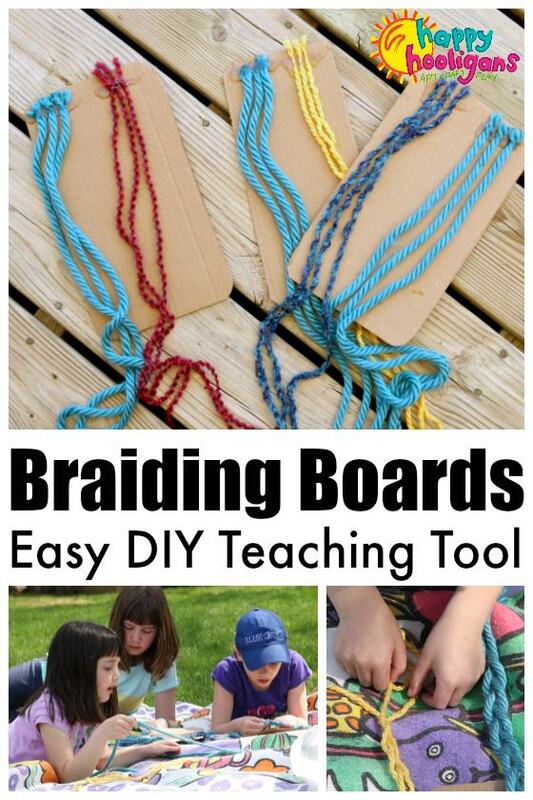 It’s a great tool for home or the classroom for kids who want to learn to braid or to practice their braiding skills. 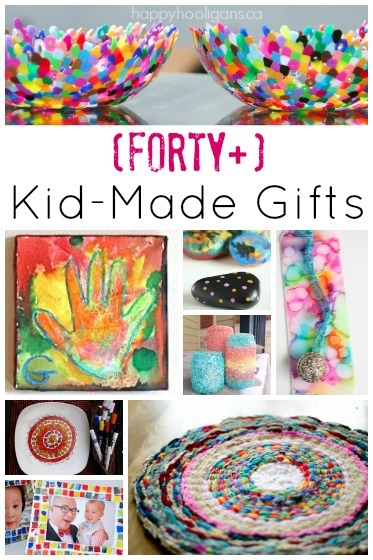 Last week when I was thinking up craft ideas for the 7, 8 and 11 year olds, it occurred to me that we’ve never done a braiding craft or activity. I suspected that the older two already knew how to braid but I had a feeling that the youngest might not. I remembered seeing store-bought braiding boards at playgroup one time, so I decided to make a few of our own from cardboard. I’m pretty excited about them. 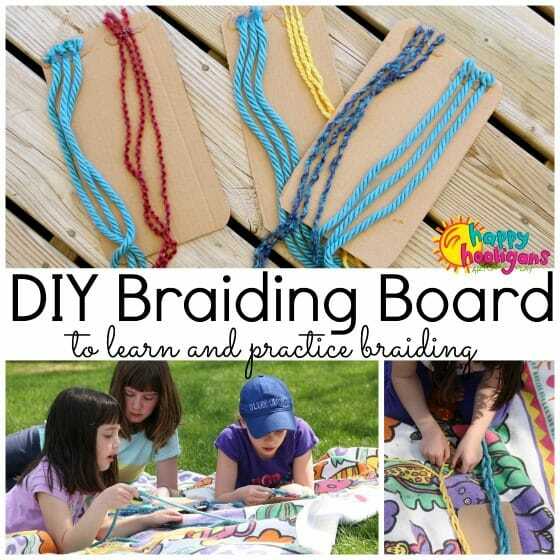 Kids can use these boards to learn how to braid, or, if they already know how, they can practice their braiding skills with them. And similar to our homemade weaving looms, they can use them over and over again and work on them whenever and wherever they like. 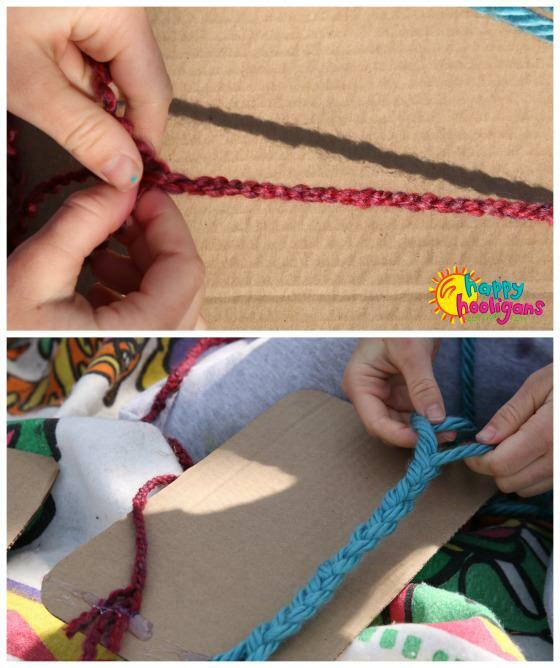 I knew this activity would be a hit with the hooligans because they LOVE any activity that involves yarn. I do too. We’re all like kids in a candy shop when we get the yarn bin out. The different colours and textures are so fun to explore. In the past year, I’ve taught the kids some basic sewing stitches with yarn and how to french knit on a cardboard roll, and one of the hooligans has become a whiz at finger-knitting. 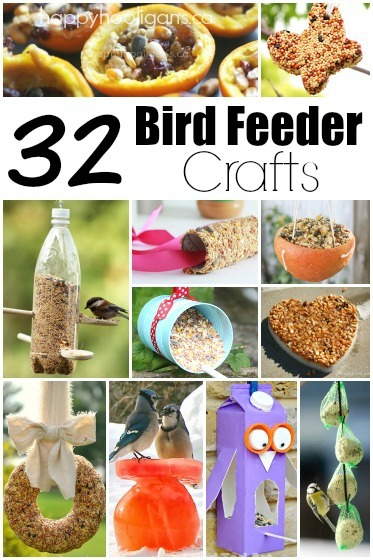 In a world where technology rules, it’s refreshing to teach kids these simple, “old-fashioned” skills, and to see them really enjoying them. Before making the boards, I asked the girls if they knew how to braid. The older two said they could do regular braiding, but they didn’t know how to French braid. I thought to myself, that’s ok, I don’t know how to French braid either. As I had suspected, the youngest said she didn’t know how to braid at all. This was our opportunity to teach her! Each of our braiding boards holds 6 pieces of yarn – 3 pieces for each braids. 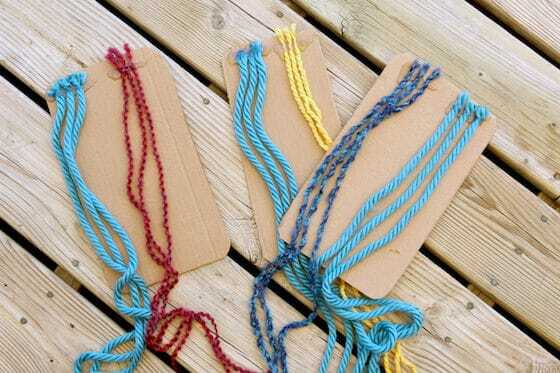 For one braid, I used a super- bulky yarn because its nice and thick, and easy to work with. For the other braid, I had the kids choose their yarn. Then, I cut out the “boards” from the insert of a frozen pizza box. 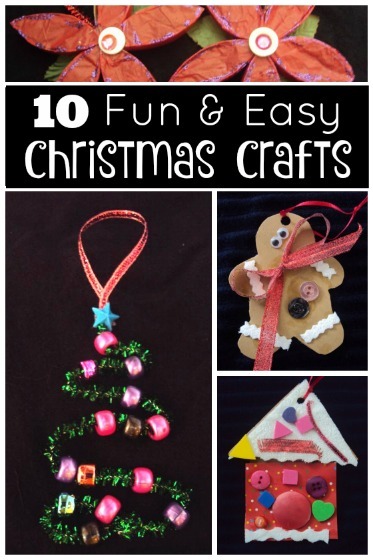 Pizza box inserts are great for crafting with! 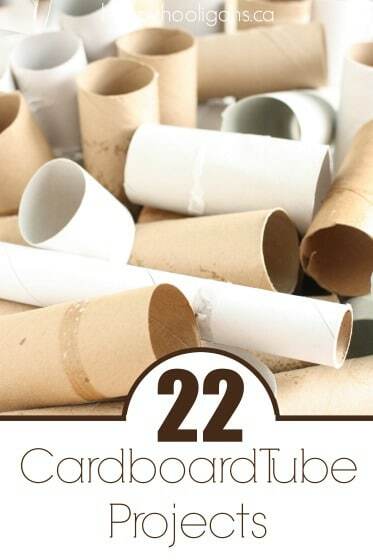 We’ve used these cardboard inserts to make door hangers, picture frames and all kinds of things. 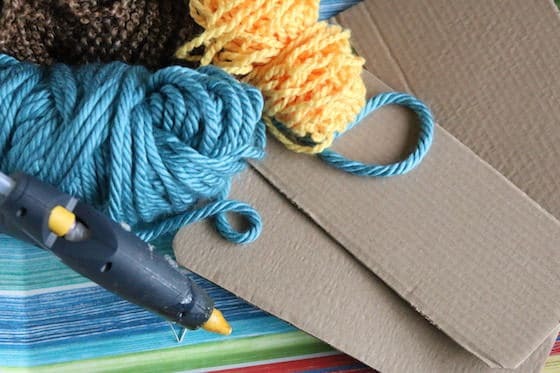 To make the braiding board, I cut three equal lengths of yarn for each braid, and I attached them to the top of the cardboard with a hot glue gun. That’s all there is to it. Easy-peasy! 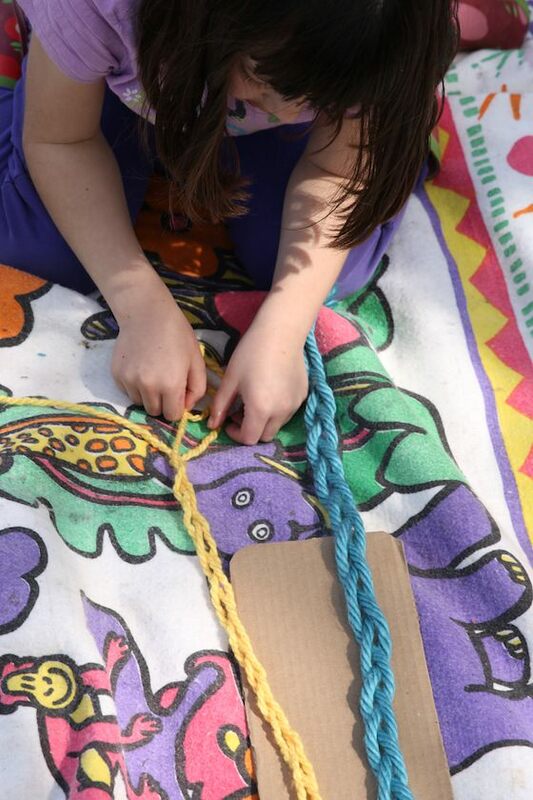 It was a gorgeous spring day, so we took our braiding boards out to a blanket under the tree in the backyard. The older two got right to work, and I gave the youngest a quick lesson. With her braiding board flat on the ground, I started braiding, and I described the steps as I worked: left piece over, right piece over… I repeated the steps a few times until I’d braided several inches of yarn. Then I undid the braid, and handed the board over. 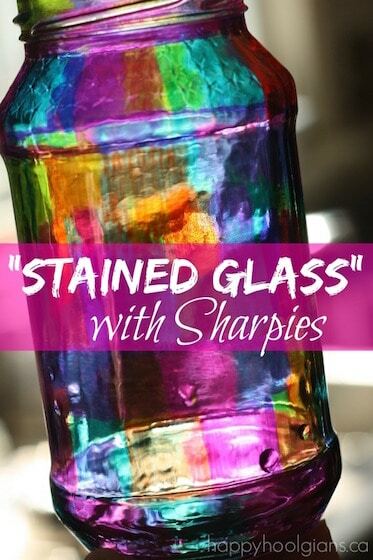 Don’t you love that lightbulb moment when a child masters a new skill? 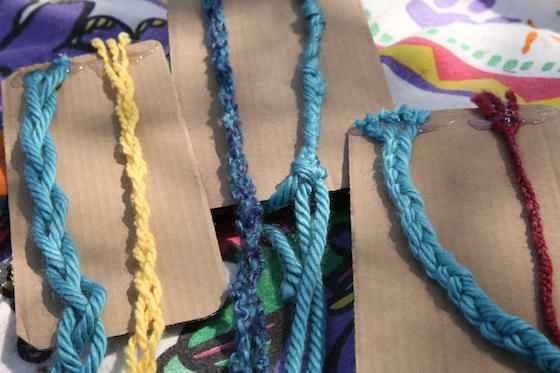 As they braided, the girls observed how different weights of yarn produced very different braids. The thinnest braid (the red yarn) reminded the 9 year old of the time she was on vacation and had her hair braided on the beach. Someone said the blue, ropey braid reminded them of Elsa. And that prompted someone else to ask if I knew how to French braid. As I mentioned to you, I do not. 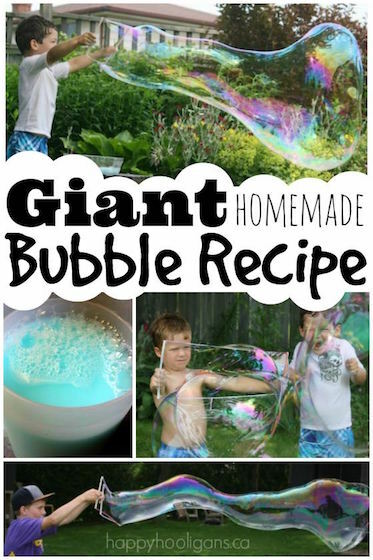 But I really want to learn how to. So, I think I’ll come up with a French braiding board so the hooligans and I can all learn together. They just put it on the ground in front of them, or on their laps. It’s not like you really “pull and twist” enough to move the board around. Even the youngest, who was just learning didn’t have any problems with the cardboard shifting around.